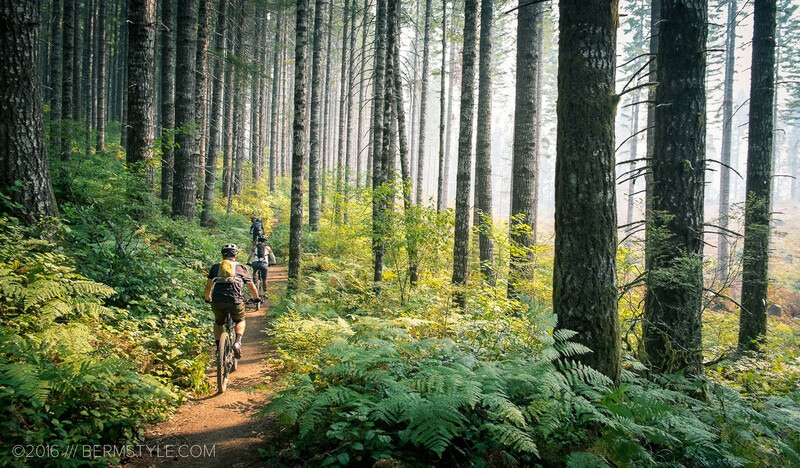 Forest fires in the surrounding area left a haze of smoke during a ride at Browns Camp last summer. 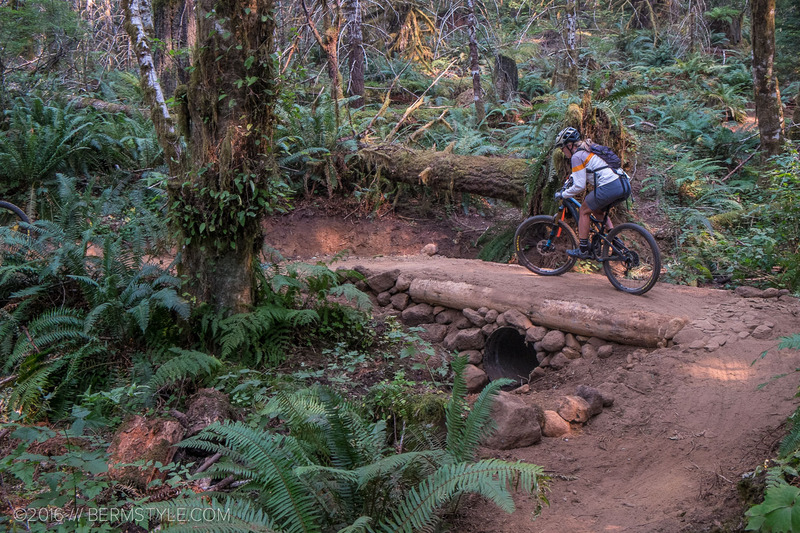 If your idea of a fun ride includes beautiful scenery, miles of twisty single track, paired with physically challenging climbs and equally engaging descents, add the Browns Camp loop in the Tillamook State forest to your to-do list. 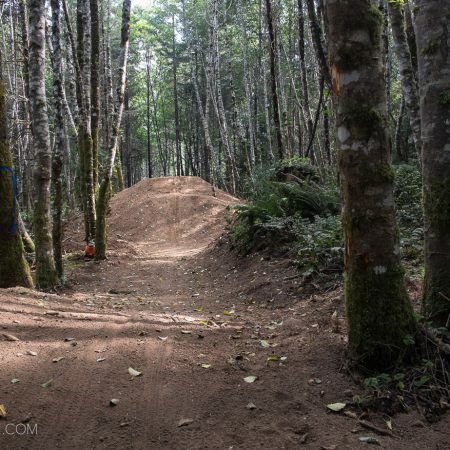 Located about an hour west of Portland, Oregon, the 8.5 mile loop is a Portland staple for those seeking out classic XC trail riding, with steep, punchy climbs and enough root filled twists and turns to put a smile on your face. 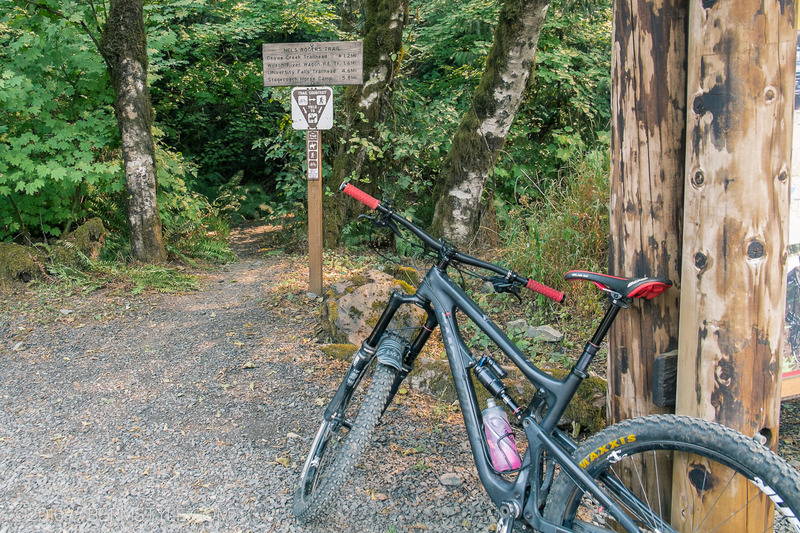 Start here: the trail head out of the parking lot, located behind the kiosk. Though the climbs may be a bit harsh to those lacking in fitness, in comparison to other nearby trail options, they’re over quickly. More importantly, they’re followed by descents with good sight lines that allow you to open it up a bit, making the grind up worthwhile. 1-by riders be warned; a low gear is recommended here. The Brown’s Camp route is only 8.5 miles in length, but for riders unaccustomed to this level of exertion it’s spot on. 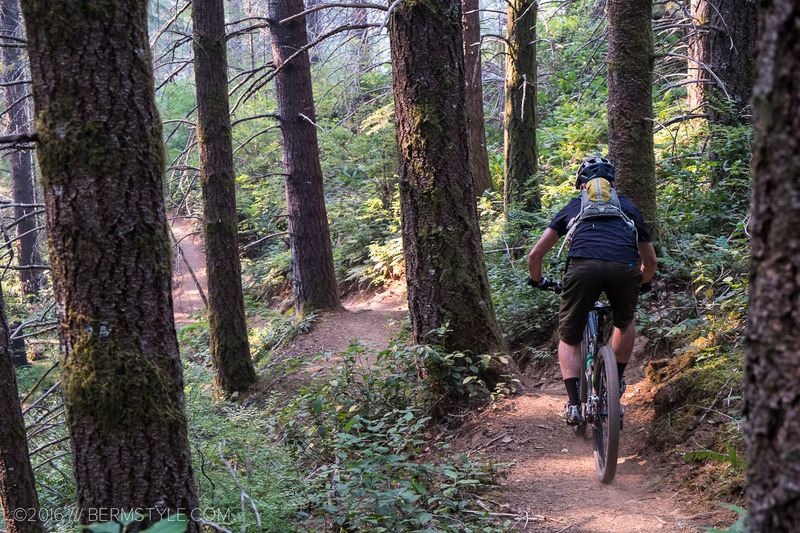 Fit riders often add a second circuit to get a 17 mile ride in, or connect the Gales Creek or Storey Burn trails to create an epic day of riding. 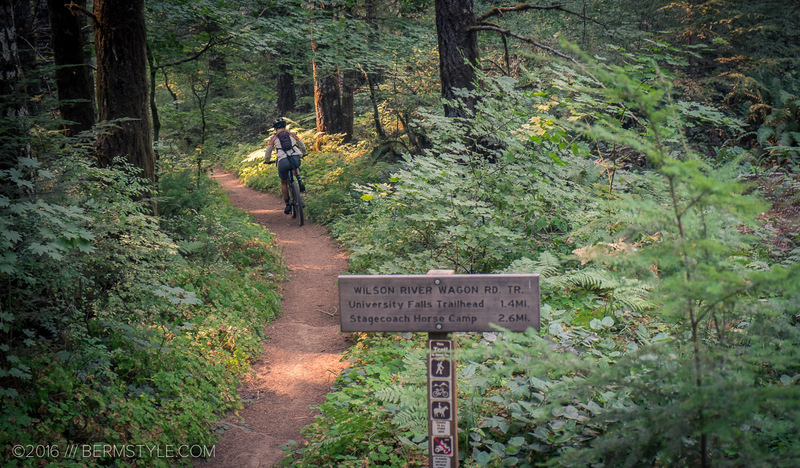 Most of the other trails in the Tillamook State Forest are long out and back routes that meander through the woods. In contrast, Browns Camp is one of the few loops in the area and has a beginning, middle and end, which many of us prefer in our riding experiences. A well earned flow filled descent. 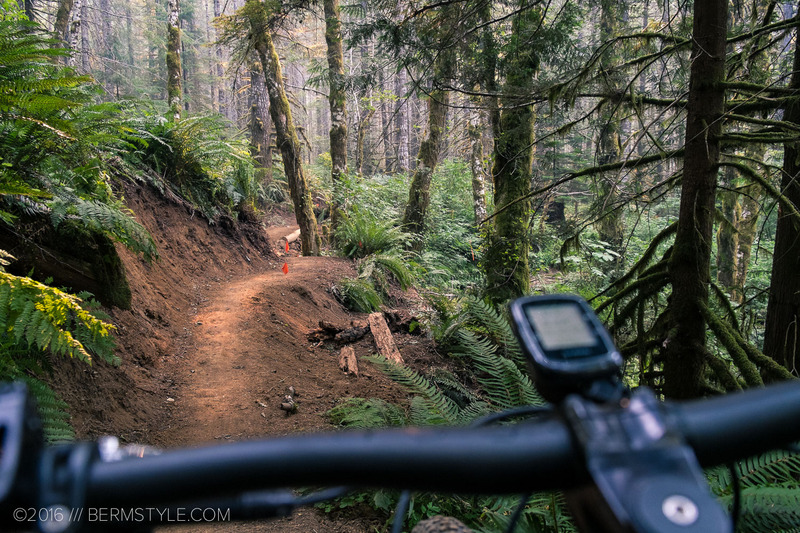 The ideal rig for the trail is a shorter travel trail or XC machine, as the majority of the tread is fairly tame. I was over biked on my Santa Cruz Nomad, but managed to clean most of the root ups by buckling down and grinding them out. There is something to be said about owning it on the bike you brought, but now that I have a dedicated trail bike, I’m looking forward to my next outing that much more. One of many root filled technical sections. 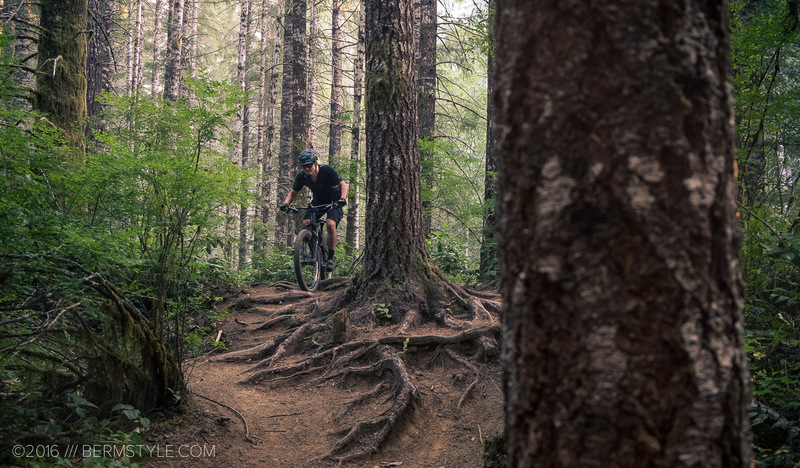 Much of the tread is pine needle covered and relatively tame, so hardtails are obviously a popular choice here as well, especially during the wet season. The trail is well signed with maps posted at the kiosk, making it easy to find ones way around. The trails are multi-use and shared with horses and hikers. Though there are motorcycle and ORV trails in the area, they aren’t allowed on the multi-use trails. 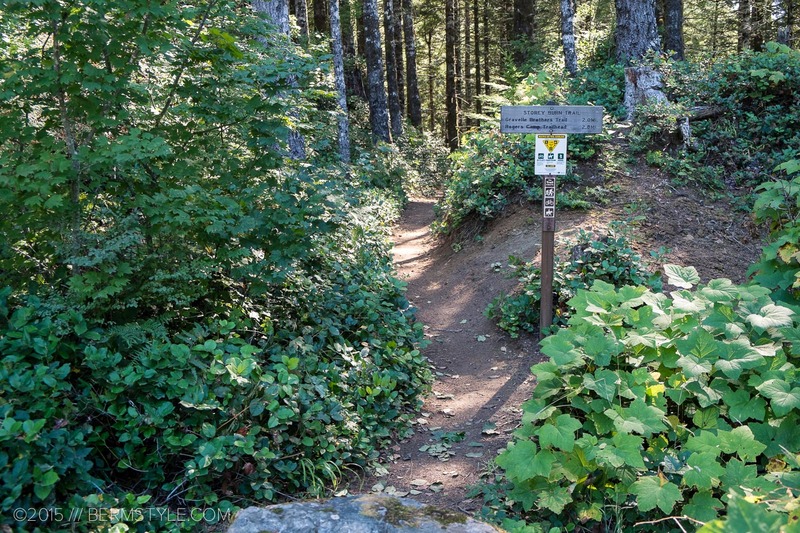 Expect to see significantly more foot traffic as you reach the University Falls Trailhead. The Browns Camp loop is best in the spring, summer or fall. 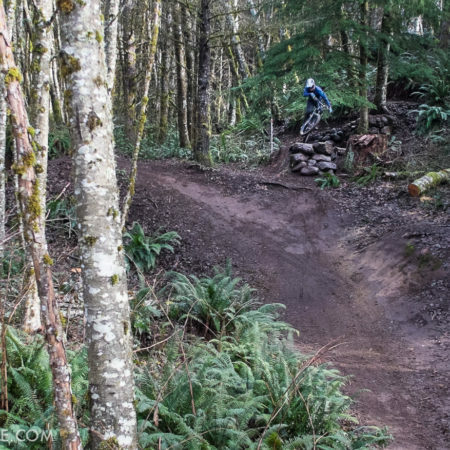 In the winter/ the wet season, the nearby Wilson River Trail drains better, the trail tread has been hardened to be more suitable for winter riding. The first major descent used to dead end at the stream with a stream crossing that was a challenge to navigate in the wet season. In recent years the trail was routed to the right taking you out to the road, over a bridge before running you back in. New rerouted sections, new culverts. A lot of work has gone into improving the riding experience out here. Though we hadn’t heard any news about it, signage on the kiosk showed regular trail work parties were held last year. These improvements should help considerably with drainage. Fortunately the trail still contains what made it so great- the frequent and often challenging roots and steep climbs. Pin flags mark highlight recent trail work. You can still see the old alignment to the right. With the burly climbs, I used to visit Browns Camp on a hardtail, especially during the wet season. 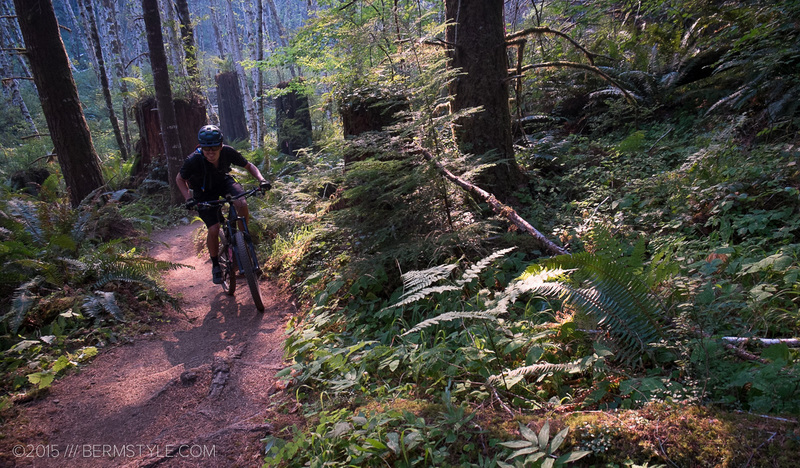 Browns Camp is the basic loop, but for XC riders looking to get away from the crowds, the Gales Creek Trail is an amazing journey through ferns on needle pine covered single track. Much of the alignment follows the creek that gives it its name but this route is not for the faint of heart, with climb and after climb presenting itself. 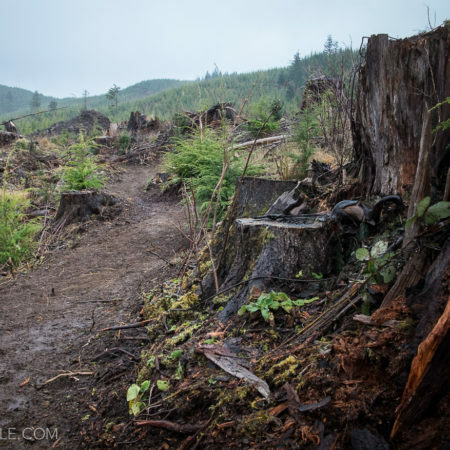 Fortunately each climb is followed by a bit of a descent, but riders lacking fitness will turn around far before the end of the trail is reached. The best part of the trail though, comes after crossing a number of fire roads and the trail turns back downward. 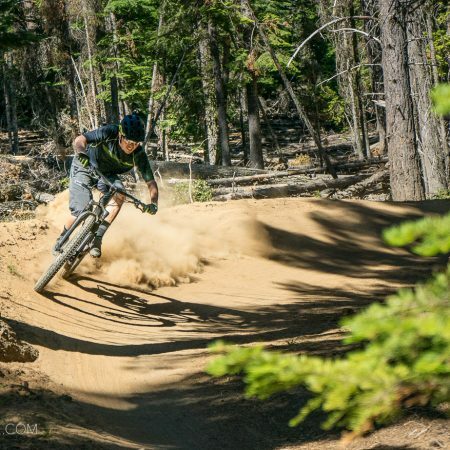 Fast and flowy, you’ll drop a ton of elevation before reaching the final loop. Plan a significant amount of time to enjoy the sights and beauty of the wooded forest, and remember you’ll need to climb back up anything you drop down. Best on a short travel trail or XC bike. Looking back, this was a rough three miles from our starting point at Rogers Camp.